Fresh Moringa leaf, very rich in vitamins A, B, C, D, E, iron, calcium, amino acids, proteins, antioxidants, bioflavonoids, minerals, and dietary fiber. ✓ From Dutch soil. ✓ Full of flavor. 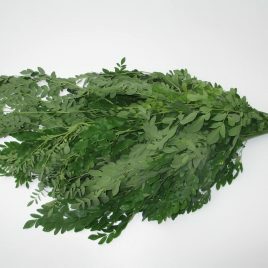 Content: Fresh Moringa leaf (price per bunch of 250 grams) In winter months not available. The showpiece of Moringa's Finest. 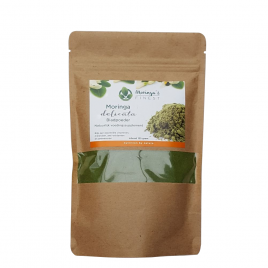 "Delicata" Fine Moringa leaf! 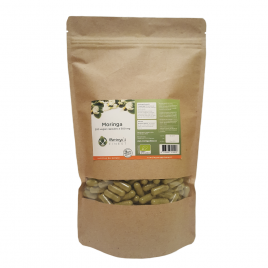 The Delicata Fine leaf from Moringa’s Finest is: ✓ 100% Natural and without additives. ✓ Fine taste. ✓ Rich in leaf green. 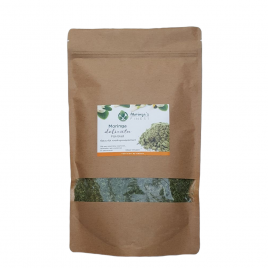 Content: 125 grams Moringa Delicata Fine leaf of Dutch origin. The showpiece of Moringa's Finest. 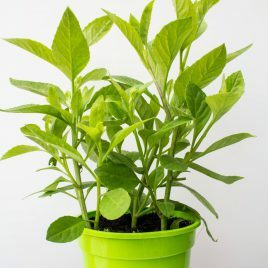 "Delicata" leaf powder! 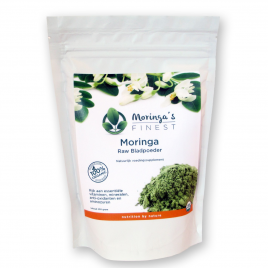 The Delicata Leaf Powder from Moringa’s Finest is: ✓ 100% Natural and without additives. ✓ Fine taste. ✓ Rich in leaf green. 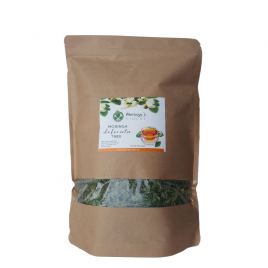 Content: 125 grams Moringa Delicata Leaf Powder of Dutch origin. 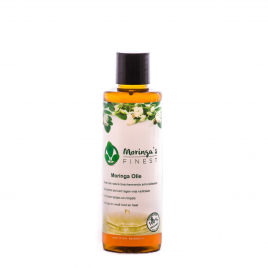 The Moringa Oleifera tree is the most beneficial tree on earth. The leaf powder of Moringa's Finest is: ✓ Organic. ✓ Rich in nutrients. 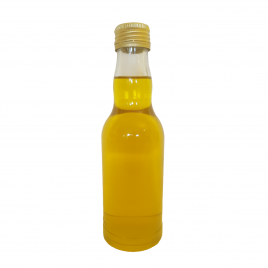 ✓ 100% natural and without additives. Content: 250 grams raw Leaf powder. 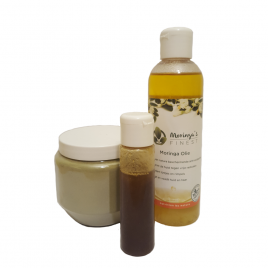 Moringa Oil - For application to skin and hair. ✓ Contains naturally-protective antioxidants. ✓ Protects skin from free radicals. ✓ Reduces lines and wrinkles. ✓ Rejuvenates and nourishes skin and hair. 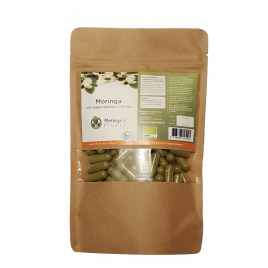 Moringa’s Finest is founded by Jouke vd Berg and Jane Scott, both of us are very connected to nature and well-known with herbs and medicinal plants. The Moringa drew our special attention because of the versatility, wealth and simplicity of this beautiful tree. 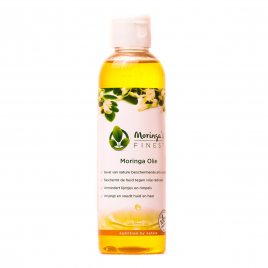 In the Ayurvedic doctrine, Moringa is highly regarded, a tradition that we like to honor.